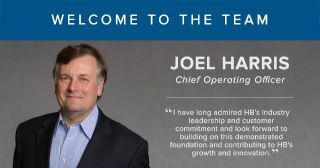 HB Communications—number 12 on SCN's Top 50 Integrators of 2018—has appointed Joel Harris as its new chief operating officer. Harris most recently served as president and CEO of Telerent Leasing Corporation where he led the expansion of Telehealth Services into audiovisual services by acquiring and growing Avidex and Digital Networks. Harris brings a broad base of experience to HB, having worked in roles across multiple industries including project design and management for Marathon Oil; management consulting with Ernst and Young; and product development, engineering, and operations management for Pfizer. Harris is a proud veteran of the U.S. Marine Corps who holds a BS in civil engineering from The Ohio State University and an MBA from the Kenan-Flagler School at UNC-Chapel Hill.